A general rule of mine is if I can recognize the font used in a dining establishment's name or logo, I'm highly unlikely to try the place. This is especially true for easily recognizable fonts, such as Papyrus, which is why I have never eaten at Super Bowl of China. Gavino's uses the font Ravie. 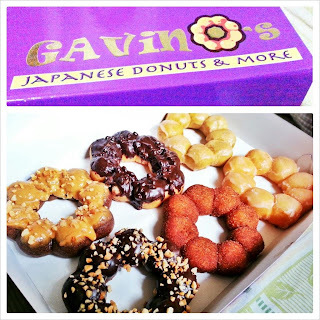 But their Japanese donuts are sweet, chewy, fun to eat and cheap. They're one exception to my (neurotic) rule.